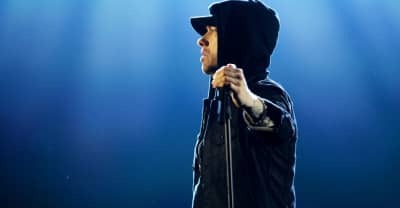 Eminem released the music video for "Lucky You" off of his Kamikaze album on Thursday. 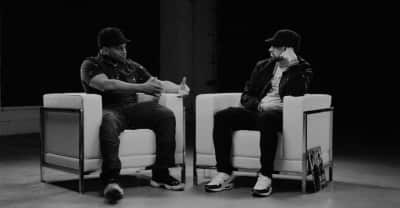 Eminem discusses his beef with Machine Gun Kelly and Joe Budden in Part 2 of The Kamikaze Interview. Watch Part 1 of Eminem's interview with Sway. 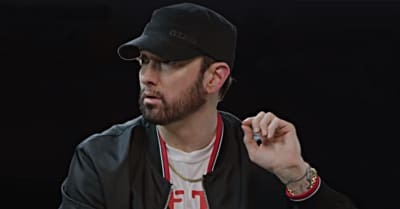 Watch a trailer for part one of Eminem's Kamikaze interview with Sway. 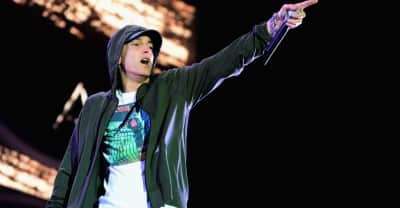 Eminem has secured his ninth No.1 album with Kamikaze. 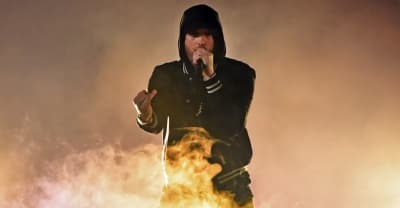 Eminem's first week sales projections for Kamikaze are a set up from his previous album Revival. 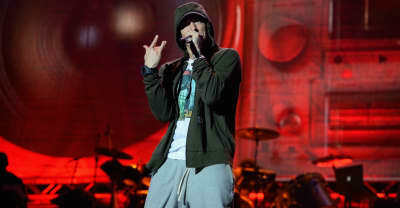 Check out comedian Chris D'Elia's fantastic Eminem impression. 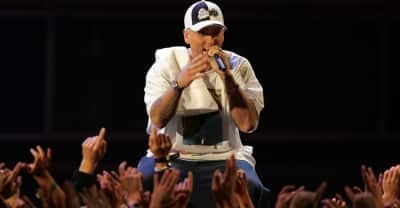 Watch Eminem's video for "Fall" from the new album Kamikaze, without that homophobic slur against Tyler, The Creator. Bon Iver has responded to criticism of Eminem's homophobic language on his new song "Fall." 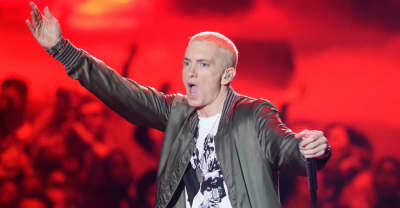 Eminem has addressed the response to his 2017 BET Awards Tump freestyle, and claims the president sent Secret Service agents to interview him. 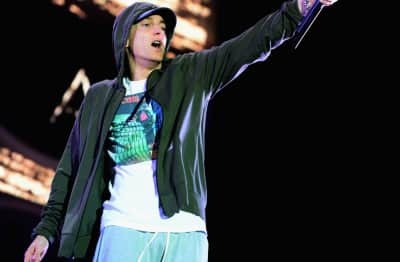 On his new surprise album Kamikaze, Eminem aimed homophobic slurs at Tyler, The Creator on the track titled "Fall"